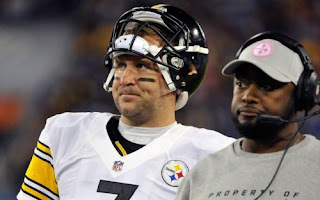 All last week Steelers head coach Mike Tomlin had one message for his team: make things easy for 37-year-old third-string quarterback Charlie Batch. Something must have gotten lost in translation because instead of taking care of Batch, the Steelers never gave him a chance. Not only did they lose the ball five times on fumbles, but without a running game Batch threw three interceptions as the Browns beat the Steelers, 20-14. Mike Wallace had just one catch against the Browns and couldn't hold onto a pass that turned into one of Batch's three interceptions. "Coach kept saying be quarterback friendly the whole week," said safety Ryan Clark. "He wanted to find ways to help him." The Pittsburgh Steelers came to Cleveland with four running backs and all of them lost fumbles to a hard-hitting defense. It started with Rashard Mendenhall's fumble in the first quarter. After Mendenhall fumbled, Isaac Redman did the same on the Steelers' 19 in the second quarter. Jonathan Dwyer kept the ball bouncing with another fumble in the second quarter. Chris Rainey added the fourth late in the fourth quarter. Batch, however, was intercepted by Sheldon Brown midway through the third quarter. The Browns turned it into another touchdown for a 20-14 lead. In all, the Steelers turned the ball over eight times. 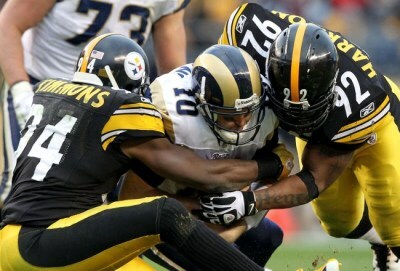 The Steelers still managed to keep the game close despite those turnovers and the penalties. They had 10 penalties for 90 yards. Flags routinely put the Steelers in terrible field position, wiped out long gains or forced the struggling Batch to throw the ball down the field into coverage. Miraculously, the Browns only scored 17 points off the turnovers. The Cleveland Browns turned Mendenhall and Redman's fumbles into 10 points. Here's what happened following the Steelers' eight giveaways: four punts, two touchdowns, one field goal and one turnover that ended the game. Less than a minute into the game, the Pittsbugh Steelers' Byron Leftwich rolled right on a pass play, then took off up the right sideline. Leftwich fell awkwardly as he stumbled across the goal line and grabbed for his right shoulder. This would be the only offensive touchdown of the game. The Steelers scored only 3 more points on a field goal to lose 13-10 to the Baltimore Ravens. Baltimore's offense did next to nothing. Ray Rice managed a only 40 yards on 20 carries. The Ravens only had 200 yards of offense to the Steelers 311. Joe Flacco struggled in the passing game throwing for just 164 yard to an injured Byron Leftwich's 201 yards. The Ravens’ six points on offense came off two Pittsburgh turnovers. Pittsburgh’s second punt was returned for a touchdown adding 7 more. Pittsburgh had its chances, including two forced drops on the final drive of the game. In fact, the Steelers came within inches of taking a lead late in the third quarter, when Leftwich and Mike Wallace narrowly missed on a touchdown. You could tell Leftwich was injured, but they kept sending him out there. The injury appeared to limit Leftwich, as he missed badly on several throws late in the game. He was seen wincing and grabbing his ribs multiple times. Leftwich reportedly injured his ribs during the first quarter on Sunday, but still played the rest of the game. He fractured two ribs on Sunday and will now miss Pittsburgh's next game, according to a report from the Associated Press. With Leftwich out and Roethlisberger's status still unknown, the next man up is Charlie Batch. 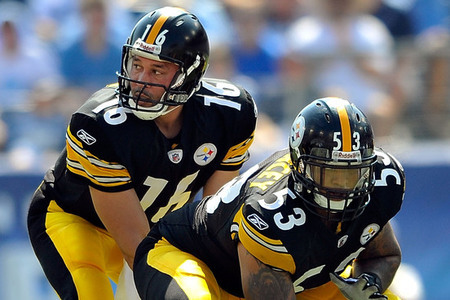 The Steelers (6-4) will likely start 37-year-old backup Charlie Batch when they face the (2-8) Cleveland Browns next. It will be Batch's first start since the 2011 season. Batch is 5-2 as a substitute starter over the past decade . Byron Leftwich hasn't won an NFL game since 2006. What they gain with Batch is a better game manager and a proven track record. 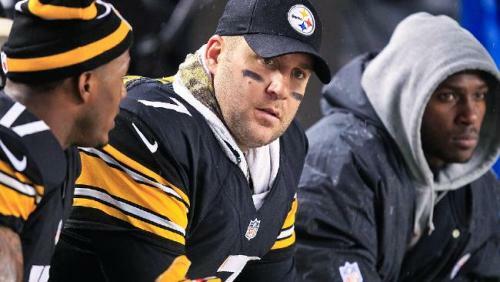 Ben Roethlisberger suffered a sprained shoulder and a dislocated rib in Monday night's win over the Kansas City Chiefs. He was replaced by backup Byron Leftwich, who played all but one series in the second half and managed the Pittsburgh Steelers to a 16-13 overtime victory. He completed 7 of 14 passes for 73 yards Monday night and was hit nearly every time he dropped back. If he starts for the Steelers Sunday night, it will be his first start since week 3 of the 2009 season when he was with the Buccaneers. That brings this question to mind: Who is the best choice to replace Big Ben at quarterback? Leftwich or Batch. Yes, Batch is 37 and slightly more durable than Byron. But he's also done well in replacement duty during his 10 years with the Steelers. Charlie went 2-1 in 2010 while Roethlisberger served a four-game suspension. The 1 loss was because the defense allowed the Baltimore Ravens to score on a late fourth quarter drive. Back in 2005, Batch started twice for Roethlisberger and went 2-0 with wins over the Packers and Browns.Over all, Batch is 5-2 and more than that, his style is a better fit for this new-look Steelers offense under Todd Haley. When you compare Batch to Leftwich, several things stick out. For starters, Batch has better touch on the now-favored short and intermediate routes. And although he doesn't possess Leftwich's cannon, he can air it out when he has to. Haley's "dink-and-dunk" offense Batch seems like a no-brainer. The Steelers won with Batch before, and they can win with him again! The Pittsburgh Steelers were able to overcome questionable officiating and blind booth refs to beat the New York Giants 24-20 on Sunday. If you ask me, I couldn't see much difference between the regular NFL refs and the replacements. If this is the kind of officiating we're going to get from the NFL, then you can start giving the refs credit for some of the scores! 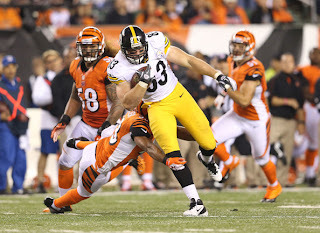 On a lighter note, how about the Steelers running game? For the third straight week they had a hundred yard + running back. This week it was Isaac Redman who embarrassed the Giants defense by rushing for 147 yards. This is after Jonathan Dwyer rushed for over a hundred yards two weeks in a row. Give credit to an offensive line that has played well despite losing some key players. The defense also played well against Eli Manning. They were able to pressure Manning so that he had a hard time completing his throws. The Steelers are #1 in passing defense, even without Troy Polamalu. The coverage by Keenan Lewis and Ike Taylor kept the Giants wide receivers in check. This game looked more like Steelers football. They're starting to play better on both sides of the football. The Pittsburgh Steelers finally have a winning record this year. They are 4-3 after defeating the Washington Redskins Sunday. Despite the ugly throwback uniforms that made them look like huge bumble bees, they were able to play Steelers football with defense and a dominating run game. The Steelers defense was able to confuse Redskins' quarterback, Robert Griffin III and keep the talented QB from working his magic. They were helped by the 'Skins receivers who dropped ten passes. This was just an ugly games for the Washington Redskins. On the other hand, the Pittsburgh Steelers had a good game on offense with Ben Roethlisberger throwing for 222 yards and 3 touchdowns. The running game came alive for the second week in a row when RB Jonathan Dwyer added 107 yards rushing in his 2nd NFL start. Now that the Steelers have some momentum, they'll need it next week when they play the defending Super Bowl Champion, New York Giants. Steelers Looking Good Without Some Vital Parts! The Pittsburgh Steelers went into Cincinnati with a lot of missing parts. Their top two running backs, Rashard Mendenhall and Isaac Redman, both were sidelined with injuries. Also the offensive line was decimated with injuries, especially to all-pro center, Maurkice Pouncey. But, the worst injury was on the defense. Strong safety, Troy Polamalu has been trying to overcome a nagging calf injury for weeks. So, the 2-3 Steelers would have to have some players step up if they were going to get to 500. 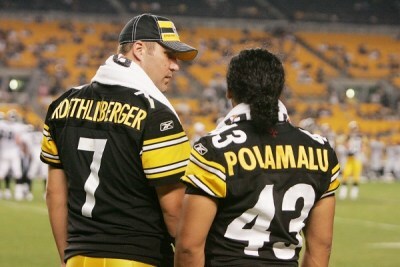 The defense was able to keep the game close, even without Polamalu. And Ben Roethlisberger kept looking for some receiver that could hold unto the ball. His most reliable receiver was tight end, Heath Miller. When Ben as in trouble he used Heath to bail him out. But the most surprising performances came from two back-up running backs. The speed and shiftiness of Chris Rainey proved to much for the Cincinnati Bengals defense at the goal line. He slashed through them like a hot knife through butter. And Jonathon Dwyer brought back memories of Jerome Bettis. This hulking back showed the same dancing feet and power as he rushed for over 100 yards. The Steelers won 24-17 to improve their record to 3-3. The Baltimore Ravens lost allowing Pittsburgh to gain a game on the division leader. The next test is RG3 and the Washington Redskins. Altough they beat Cincinnati, there were still too many dropped passes, especially by usually sure-handed, Mike Wallace. Get well Steelers and give us your best effort against the 'Skins. Is Time Running Out For The Steelers? It's been hard to watch the Pittsburgh Steelers lately. Before the season started, I had them winning against the Denver Broncos, Oakland Raiders and the Tennessee Titans. I also thought the defense would be the reason we won. The Steelers are now 2-3 and in third place in the AFC North. Although the games were mostly close, the Steelers couldn't hold a lead in the fourth quarter. I know we have suffered injuries this season, but the amount of penalties, bad play calling and missed opportunities has made them a mediocre team. As Steelers fans we just want to see smart, tough, aggressive play. Show a little enthusiasm and play as a unit. They've proven they can play with anyone, but can they finish? It's not quite time to panic, but time could be running out for the Steelers if they don;t get it together soon! With The Pittsburgh Steelers already smarting from their season ending loss to Denver at the hands of Tim Tebow, they have to face the same the Broncos again to open the 2012 season. This time it's with Peyton Manning. Fresh off of neck surgery, he uses what's above the neck as well as his arm to pick the depleted Steelers defense apart. 31 to 19 was the final score, but the Denver Broncos had enough to defeat a soft defence and very little pressure on Peyton Manning. It was a disappointing performance fo the Steelers, but they'll bounce back in week 2. Steelers Wide receiver Hines Ward has been playing for the Pittsburgh Steelers since he was drafted in the 3rd round in 1998. A quarterback at the University of Georgia, Hines was moved to wide receiver in the NFL. 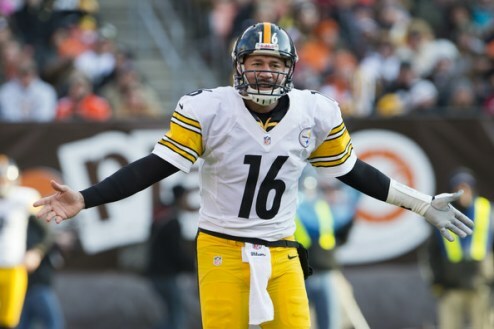 Since then, he has went to the Pro Bowl four times and was the Steelers MVP three times. He's a two time Super Bowl champion. Ward has the Steelers records for receptions 1,000, receiving yards 12,083, and receiving touchdowns 85. At the ripe old age of 36 and a great dancer , he's scheduled to make $4 million next year. Faced with the prospect of having to leave Pittsburgh for another team, Hines has decided to try a new dance move of his own. He's already expressed a desire to retire a Steeler. Ward wants to restructure his contract in order to stay with the team he loves. Meanwhile, NFL.com reported that the Pittsburgh Steelers want to let him go..
"I don't normally like to respond to rumors, but as I've said all along, I want to finish my career with the Pittsburgh Steelers," the former Dancing With the Stars champion posted on Facebook this past weekend,as reported by the AP. Hines had surgery recently on his right ankle to remove some bone fragments. As a result, he had the lowest production in his career since his rookie season. In 2011 he caught 46 passes for 381 yards and 2 touchdowns. 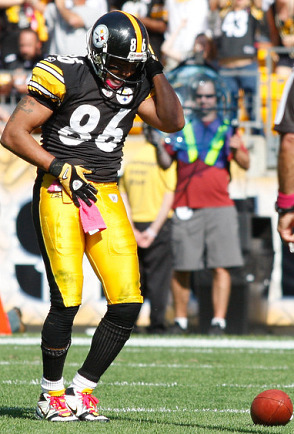 The majority of Pittsburgh Steelers fans would like to see Hines Ward remain a Steelers and finish his career there. 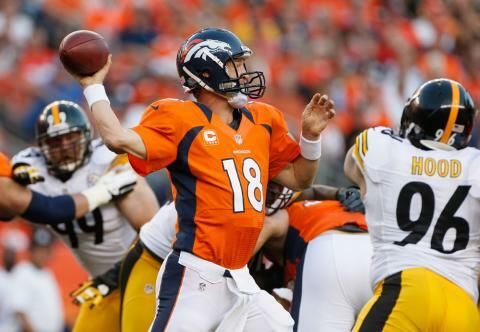 The 8-8 Denver Broncos and Tim Tebow beat the 12-4 Pittsburgh Steelers 29-23 and eliminated them in the first round of the NFL AFC wildcard playoffs in OT. The severely injured Steelers limped into Denver only to be carried out on a slab. The NFL's #1 defense played it's worst game of the season and a hobbled Big Ben Roethlisberger was careless enough with the ball to help the Denver defense secure a 23-23 tie and move the game into overtime. Tebow connected with Demaryius Thomas on the first play from scrimmage after the overtime kickoff to secure the win for Denver. You could tell as the game progressed, the Broncos wanted it more. Tebow had his best game of the season and took advantage of a soft Steelers defense. The Broncos will face the New England Patriots next on the road to an improbable miracle run to an AFC championship and maybe the Super Bowl!